There is an old saying that goes "Time and tide wait for no man," which basically means that no person is powerful enough to stop the march of time. Which brings me to my pet hate, waiting. I hate waiting with such a passion it is unbelievable and that is a case where time drags its feet. Seriously. Don't you just hate waiting? Don't you hate not having any control? Another thing I have come to realise is that everybody has their own agenda and it doesn't always coincide or fit well with yours. This of course can make life quite interesting while we all try to juggle our time. It's difficult to plan ahead when you don't know exactly what someone you are relying on has planned. What is a priority for you might not be a priority for them and therein lies many frustrations. Take for instance my daughter's student visa application for Canada. You already have to wait weeks for a reply then they go and have a strike so that visa processing slows down to a virtual halt. They didn't care about the many futures that were being put on hold for international students from all over the world. Then you get a letter declining the visa because her home ties were not strong enough. So now it's a hindrance if you work at international schools and give your child an international education if they are wanting to study in Canada. That doesn't sound very logical to me. Many people choose to work abroad for whatever reason. Their children should not be punished for it. I'm still waiting for my visa so I can start my new job. First they need a certain document that takes 8 weeks to get, then you have to wait for the couriered document to reach its destination, then wait for it to be processed, then wait for it to be couriered back to you. An enormous amount of waiting that is beyond your control. You can't move forward until you have it and there is nothing you can do to expedite it. Totally out of your control. My flight is booked for next week. At this stage it is highly unlikely I'll be on it. Frustration rules. As I'm having a bit of a rant I may as well add in medical insurance. Of course after you submit a claim you have to wait around 3 weeks to get your money back. What makes me see red, is when you wait three weeks and then only get a fraction of what they owe you. The reason given is insufficient documentation. So you resend exactly the same documentation you did before. There's nothing else extra you can really send and wait another three weeks and then they pay you. Why could they not have just paid it the first time around? Do they think I like to wait 6 weeks for money I've already paid out to be refunded? More waiting. I hate it. One would think with all this waiting around I would have had a lot of time to write. But here's the thing. Although waiting has made time drag, time has also sped by so quickly that my two months holiday is nearly over. How can that be possible? I'd wanted to finish Hush Baby. I had two months to do it. Where has time gone? Why have I wasted so much time and on what? I can't even remember. My goals for this holiday were: finish the first draft of Hush Baby, work on Diary of a Dancer, take the ferry to Robben Island and visit Nelson Mandela's prison cell, go up in the cable car to the top of Table Mountain and do a Cape Malay Cooking Course. While I have done some work on Hush Baby, I have not accomplished any of my holiday goals. Were they unrealistic and inaccessible? Not at all. The fact is I thought I had two months to do them in and by my book two months is a lot of time. Unfortunately time is running out and I have left everything until the last minute. More frustration. I did manage to make the time to have my health checks, do a spot of cooking, see some movies and read quite a few books so I guess it's not all bad. But the things I haven't done are the things I really wanted to do. I've just run out of time. Cindy Vine is the author of Not Telling, Defective and CU@8. All books are available on kindle and paperback at Amazon, Barnes and Noble, Smashwords and the Apple iStore. Tell Me: Why Do You Choose a Funeral Home? 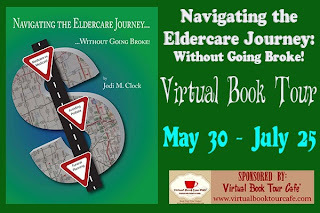 BY JODI CLOCK, NAVIGATING THE ELDER CARE JOURNEY…WITHOUT GOING BROKE! CONTINUE THE CONVERSATION WITH JODI AT JODICLOCK.COM. Readers -- this is a call for action, if you will. As a funeral professional I am asking for your thoughts, feedback or recommendations for continuous improvement. We don’t know, if we don’t ask. As I sit here at my computer I find myself very perplexed. Most everyday, when I sit down at my desk to begin my day, I check my email. (This task in itself at times can take literally all day!) Like many of you, I have set “Google Alerts” to crawl the web and place key topics that I follow in my in box. This morning’s mailbox is unusually loaded with people who are frustrated with funerals, wedding planners who are attempting to add funeral planning to their expertise and entrepreneurs who have a new concept to send their loved one off in style. After reading each of the alerts, I find myself asking the obvious – why? The next few paragraphs will contain random thoughts, observations and questions. As you read this article, please take a moment to reflect and respond either openly in the comment section at my blog here, email jodi@clockfuneralhome.com. 1. If price is truly the issue and there is no money, our funeral home offers a “no cost” cremation solution. We are the only funeral home in Muskegon County that offers this. The caveat is that the deceased must not be an IV drug user, have AIDS or any other contagious disease. The deceased also must have be found and pronounced death within 24 hours so the proper protocols can be taken. The family receives one death certificate. All transportation fees and professional services are of zero cost to the family. Anything above any beyond this, the family must pay for. 2. Do families feel that funeral homes are a rip off based on all the media hype? Probably to some degree. It only takes one disreputable funeral professional to place a stigma on what we do, to ruin it for those who operate an above board business. All industries have their “black sheep,” however, because we are in the death care profession, things are sensationalized. Here’s a fact you should know. The funeral profession as a whole is highly regulated. Our profession has to uphold to numerous standards that are set by the Federal Trade Commission, Occupational Safety and Health Administration, Music Licensing and Regulation, audits for pre-planned funerals, not to mention all the necessary insurance coverage and much more. It’s fair to say that as recent as 15 to 20 years ago, funeral professionals made a comfortable living with an above average income. Today (2013) this is not case. Nobody, let me repeat nobody who is in this profession is getting rich. Not the casket suppliers, urn suppliers, the vault suppliers, cemeteries or the crematories. In fact, many companies have consolidated or gone out of business. Everyone who is in this business -- not just where I live, across the country -- are literally making just enough to cover their overhead, their employees’ payroll and benefits, with just enough left over to reinvest back into their business for improvements. The real question should be, at what at point does a business stop operating with a fair profit margin and operate in the red in hopes that volume will make up the difference? Translation, a business can lower their price and create a price war, but is it worth the cost of going out of business? If a funeral home wants to operate on the “Wal-Mart” volume based method, their must be enough of the general population in the community they live in that is there is an abundance of individuals whose mortality is limited. Unlike Wal-Mart, funeral homes can’t dictate to their venders what price they are going to pay for their merchandise, insurance, vehicles and utilities. We have the same price increases as everyone else. Muskegon seems to be segregated by choice, meaning that 98% of all African Americans patronage a funeral home that is owned and operated by African Americans. This frustrates me. I’m not sure how this norm can be changed. Religion -- one could argue either side of that decision. In my opinion only, over time I think this norm will be less prevalent. Why? The baby boomer as a generation has a large segment that is non-churched. Take note, I did not say “un-religious.” A large sector of boomers tend to outwardly say they are spiritual and have their own personal relationship with God. Many people have prayer groups at their home and consider that their church. Conversely, those persons who actively participate in a church don’t want to have their services held at a funeral home. Why is that? In fact, to be quite candid, many churches across the country have taken on the role of a “funeral home” and handle everything but the “dead” aspect. Some pastors tell us that they would prefer the funeral home be involved, others have actually hired people to assist with all the behind the scene action that is cumbersome. Most families will honor their loved ones request by calling the funeral home that the individual wanted to go too. If the deceased had pre-arranged or prefunded their funeral 99% of the time, the survivors honor that decision. Just for educational purposes, if a funeral plan is pre-arranged and even funded, the survivors do have the option to move that contract to another funeral home of choice. The consequence is that the guaranteed portion of the contract in terms of price is no longer valid. The value of the policy, meaning the amount of cash that the contract has grown to, is what the family has to pay or put towards a funeral. Pre-paid funerals legally must be 100% transportable within the United States, and many are also accepted in Canada or Puerto Rico. In closing, I’m asking you to tell me your perspective on why people don’t want what funeral homes have to offer. I understand it’s not an expense that is tangible like a car or even a piece of jewelry. It can be an experience, and a memorable one, if you allow us to do what we do or share with us what you want. Funerals don’t have to be men in dark suits directing people. In fact, our funeral home employs more women then men. Funerals can be festive. Stories can be shared. Any kind of music can be played. People can have that “pig roast,” motorcycle gathering, Irish wake or even a firecracker send off, they just need to ask. If it’s legal, within reason and you have the funds to pay for the necessary items – it can be done. The difference between what we do and what a wedding planner does, is we make it happen typically in 24 hours or within five days. While wedding planners have months, if not a year. Today, many individuals have had one if not two wedding for themselves. There are no second or even third funerals for an individual. We only get one chance – why not let use help you make it one that is not a cookie cutter, fits your style and your finances. Please – talk to me! What are your thoughts? I'd love for you to continue this dialogue with me! Please share your thoughts at jodi@clockfuneralhome.com, Facebook, or my blog. Visit one of Clock Life Story Funeral Homes' three locations at 1469 Peck St. in Muskegon, (231) 722-3721; 16777 Lincoln in Grand Haven, (616) 844-4200; or 3592 Pontaluna Rd. in Fruitport, (231) 865 6151. The clockfuneralhome.com website contains useful information about services, planning, Life Story products, and more. 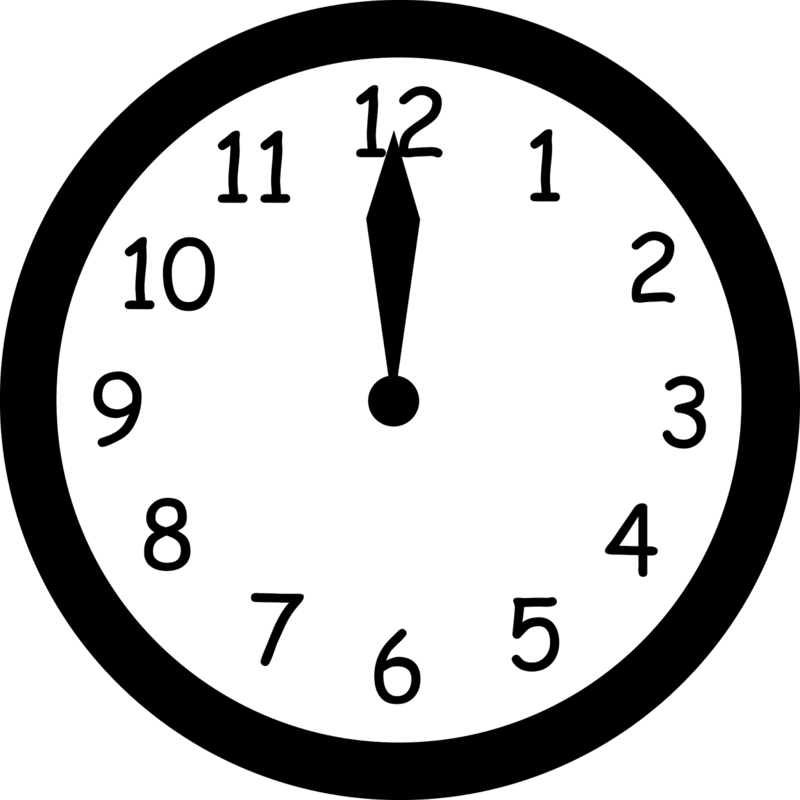 Information about sister company Clock Timeless Pets is at facebook.com/timelesspets. 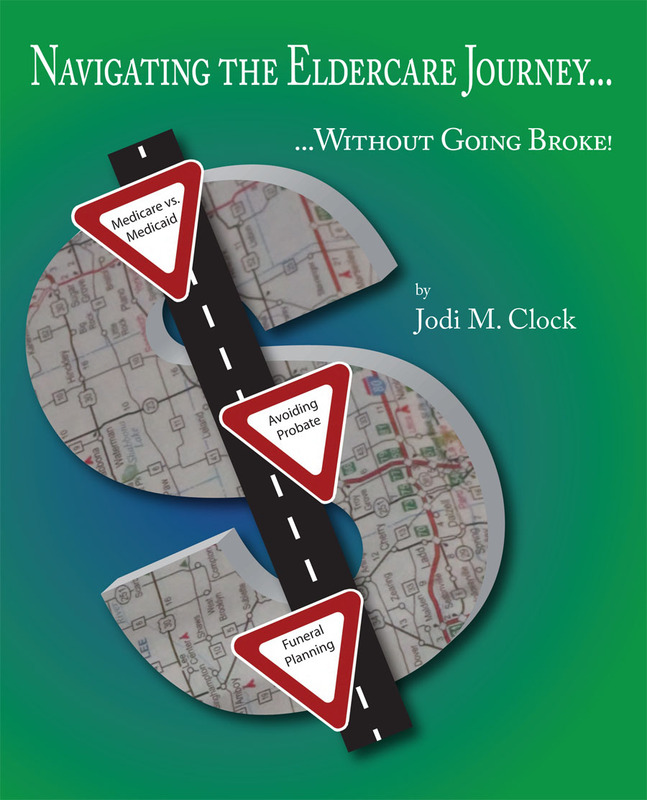 To purchase Navigating the Elder Care Journey…Without Going Broke! by Jodi Clock, go to Amazon.com. What happens when your parents can no longer care for themselves? "Just because people are aging or beginning to face health challenges doesn’t mean that they are insensitive, ignorant, or incapable of decision-making." (Available on Amazon.com) We’ve all enjoyed a good laugh at the perils of getting older. But entering your Golden Years without any money is no joke. End-of life planning is a difficult subject to talk about - between facing mortality (either your parents or your own) to discussing the ever-confusing subject revolving around long term care options or understanding the differences between Medicare and Medicaid, or a living will vs. a living trust, there’s nothing fun about facing death and the issues that come with it. Navigating the Eldercare Journey – Without Going Broke! can help reduce the challenges and minimize frustration encountered when you are placed in this situation. This easy-to-understand guide takes you from the basics of understanding long term care options that are available, how to seek out an elder care attorney and know if they are good fit for your needs, and how to qualify for Medicaid as a financial means to pay for care, including the benefits of funeral planning - in layman’s terms. 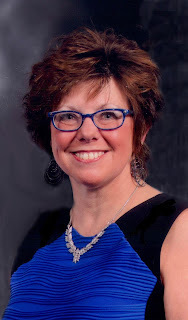 Author Jodi M. Clock provides fundamental information regarding the basics in a way that helps you understand not only why her recommendations are important, but how you can minimize financial exposure regarding end-of-life events. Whether you are in a crisis situation or taking proactive measures, these valuable end-of-life solutions could safeguard you and your parents’ assets. You have a choice – be proactive and preserve your money. Don’t leave it unprotected and unnecessarily taxed when you or your parents die. No matter how prepared you think you are, the reality of death is sobering, and expensive. When time is on your side, you can make well- thought-out, proactive decisions, enabling you to focus on what’s most important in life. For over 25 years, Jodi M. Clock has worked in the ‘end-of-life planning’ industry, including family and corporately owned funeral homes, advance funeral planning companies, casket manufacturers and insurance agencies. Having personally witnessed the financial confusion that families endure, especially at an emotionally taxing time, Ms. Clock has centered her career on helping people to understand the options that are available to them. She currently writes and speaks about the basics of Medicaid and asset protection and is a seasoned expert in end-of-life directives. Ms. Clock wrote Navigating the Elder Care Journey...Without Going Broke! to help people appreciate the important facts they need to know in order to make the right financial choices, in one easy-to- understand guide. It is her hope that through the personal stories, straightforward information, and family care plans which include checklists, she will help people manage this process. Her goal is for everyone to become informed on options available that will not leave their hard-earned assets unnecessarily exposed, potentially saving them hundreds if not thousands of dollars; qualify for Medicaid; and have their funeral expenses pre-paid, therefore allowing their loved ones the ability to focus on what’s important and not have anxiety or stress over finances. When she’s not consulting or helping manage the family funeral business, she volunteers with The Noah Project, a no kill animal shelter. An avid animal lover and supporter, she has a house full of pets and enjoys spending time on the western Michigan shoreline.